This is in no way shape or form indicative of my current state (non-preggo lady here) but after 2 years of marriage it has come up that we might eventually, possibly, potentially, entertain the idea of bringing little humans into the world. There are days where I think I am fully capable of this when the time is right. Then, there are other days where I ask myself, uh, really, can you do this? Thanks, anxiety. Let's face it. 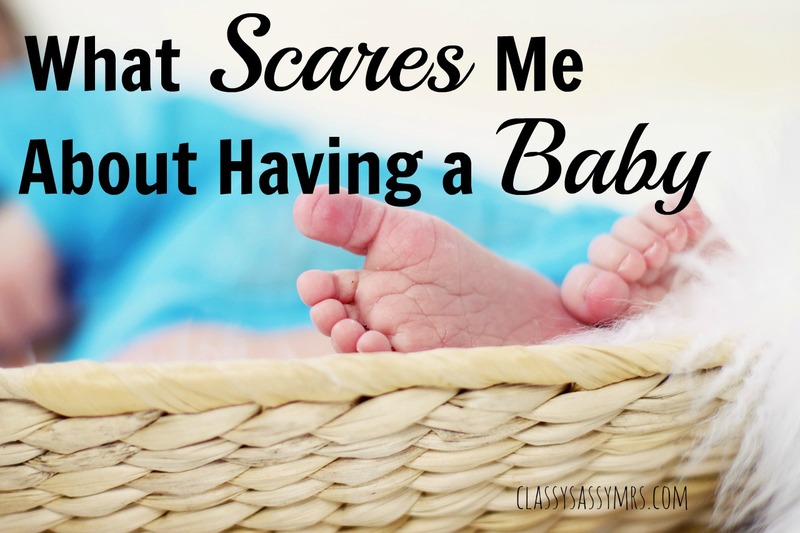 Babies can be a little bit intimidating and scary. It's a huge change to your body, your life and your marriage. Your whole lifestyle changes along with your bank account. It would be strange if I didn't have some fears going into this. I love sleep. Without enough sleep, I am a slight cranky pants. And babies do not allow a lot of that. There are some days where I wake up from 6 hours of sleep and feel like I can't function and struggle getting dinner on the table. How am I going to do all of this with even less sleep? Ouch. I know I want to breastfeed as long as I can and I hope I can. But if I can't how will I feel about that? Will I let the fear of breastfeeding in public stop me from doing it? I've heard about them. It's the judging, it's the new stage of life that maybe I need a friend for and might not have, it's not being sure if I have this whole thing together without other mom's giving me "the look." Will I find my place where I am supposed to as a mom? Doing it without my mom. Obviously, Brian is going to be an amazing father and help me out and support me. But there's something about a daughter having her mom there help her with her baby. And I won't have that help. I won't have that person to be completely vulnerable with, who will baby me when I'm being more of a baby than my own baby. Right now, we enjoy our cozy, little, rented condo. It works for us, but I am not fully sure how a baby would work here. Yes, we have an extra room that it could sleep in, but my concern is the space. I already feel like me and Brian are on top of each other. Add a baby then what? Will it also derail our savings for a house? 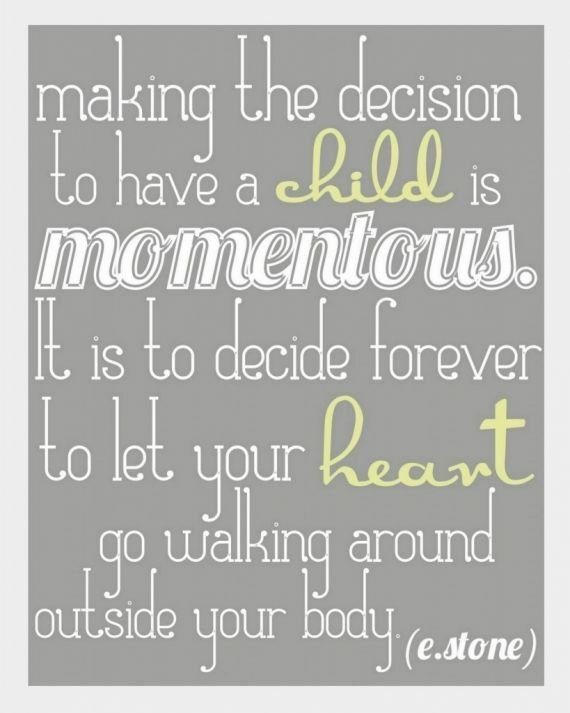 Or should we make sure we have the house before a baby is even thought about? I'm responsible for this tiny little human. And that's a huge thing. A huge deal. I am solely responsible for making sure this baby grows right, is nourished right the first few months and for making sure it grows up the proper way. After talking some of these fears out over a couple glasses of wine, I have heard that I will never be fully prepared the first time. It's a first time mom thing. I will learn and will be able to take care of this tiny baby. But...still...all of the above. Have you had these fears? Preggo woman here, and I am feeling all the same fears! Especially about sleep and breastfeeding. Everyone says that I'll just adjust without realizing it, but it sounds pretty scary! The best advice that I ever received when I got pregnant (unexpectedly) was that no one is ever really ready to have a baby. Even when you have prepared and planned, babies will always have their own agenda in mind that no one could have planned for. So don't stress too much on whether you are ready or not. Also, you forget what it was ever like to sleep so you don't miss it as much as you thought you would! LOL! Obviously this advice isn't to be taken for anyone to just run and have a baby for the heck of it, but hopefully you get the point that it tries to make. I really appreciate this post... I feel like I'm in a similar boat to you, and I'm just not sure if I'll ever REALLY feel ready. I love our lifestyle and my husband, and it's just so scary! I totally have some of these fears but I agree with you. 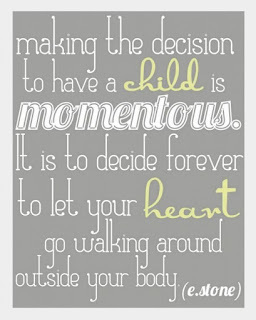 But deciding to have a baby is an amazing thing. Thanks for sharing. Doing it without my mom was one of my fears too! You will be amazed by what you can do though, and my husband was great with our son as a baby. We really learned how to rely on each other! I have many of the same fears for sure! It's one of those things that you'll never be fully prepared for, but you'll never regret! With all of those worries and struggles come blessings and memories! Good luck! You are not the only one!! As we're planning our wedding for next fall, I'm already starting to get tingles about the future baby stuff.